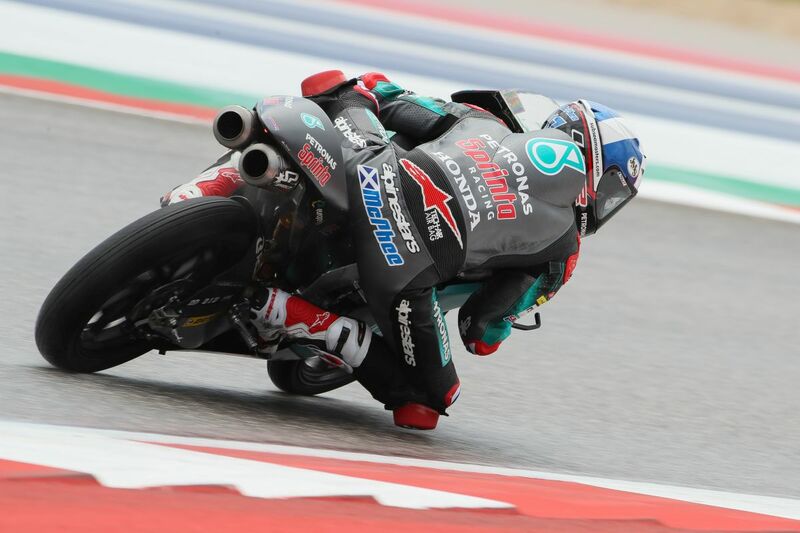 Following the cancellation of FP3 due to rain and lightning at the Circuit of The Americas, the PETRONAS Sprinta Racing riders had to adapt to difficult wet conditions in this afternoon’s Q2 session. 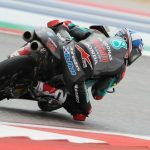 John McPhee and teammate Ayumu Sasaki experienced a tricky 15 minutes of action in qualifying, but would place in 8th and 17th place respectively. Due to the difficult conditions, the pair had limited time to set their best possible laps and ensure a positive spot on the grid. John completed a total of six laps, setting his best time of 2:32.071 on the last of them. That put him in eighth position on the grid. 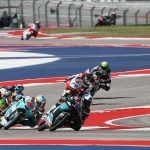 The Moto3 Americas GP will start at 11:00 local time.